Pontiac Service and Repair in Holly, MI | Armstead Automotive - Armstead Automotive Repair and Service Inc. If you’ve got a Pontiac and live in and around Holly, Fenton, Flint, or Grand Blanc, then you need a trusted auto mechanic! Don’t hesitate--bring your Pontiac to Armstead Automotive Repair and start experiencing the difference that a really amazing auto mechanic can bring to your life--and your Pontiac, too! Pontiac has been out of business since 2010, but there are still loads of Pontiacs on the road. Car manufacturers come, and car manufacturers go...but Armstead Automotive Repair has been here for over 30 years, nurturing our community through fantastic auto repair. 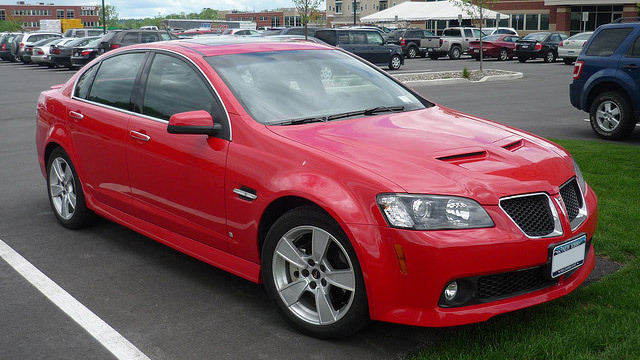 No matter what your Pontiac needs, we will see to it that it leaves our shop in the very best possible condition. “There are very few modern day repair shops that hold old fashioned values. I am very fortunate to have found them a few years ago, and will go out of my way to get my vehicle to them, even if they have to tow it! Never have I experienced a company that is not only good at what they do, but they are compassionate about what they do! The whole staff from Jon the service writer, Steve and the rest of the technicians to Ben and John. These men LISTEN, and know that you know your vehicle better than anyone. They never look down on anyone, and are not only fair, they have heart. My brother is a technician for Toyota, he is my automotive advisor, and telling him of my Armstead experiences, he said, a shop like this is very rare! It's like a good old fashioned family doctor, you use them for life! And as long as I am living in South East Michigan, Armstead's will be my facility for everything automotive!” -- Steve P.
You can see the difference right away when you bring your car to Armstead Automotive Repair. Whether you need a major transmission overhaul, routine auto repair maintenance, or just an oil change, Armstead Automotive Repair has the requisite experience to make sure that you and your family stay safe on the roads of Holly, or anywhere else you may need to go. We’re a family-owned business, first and foremost, and we stand by our work. If we work on your car, we’ll take full responsibility for each and every auto repair. We know about anything that’s coming back before you do. Nothing matters more to us than earning and keeping the loyalty and unwavering trust of our customers! You can trust us, too. Just give us a call any time, or use our online appointment form to schedule a reservation. We are located at 15310 Fish Lake Road in Holly, and our hours are from 8:00 AM - 5:30 PM, Monday - Friday.